Grades 8-12. 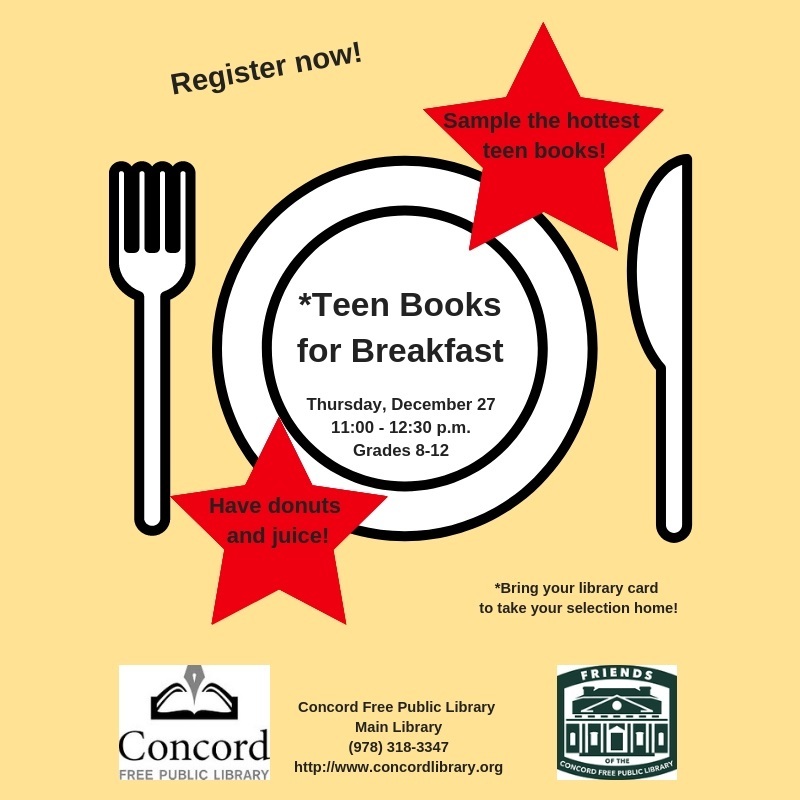 The Concord Free Public Library is excited to invite teens in grades 8-12 to come to a special “book tasting” at the Concord Free Public Library (129 Main Street) on Thursday, December 27 from 11:00 AM to 12:30 PM. 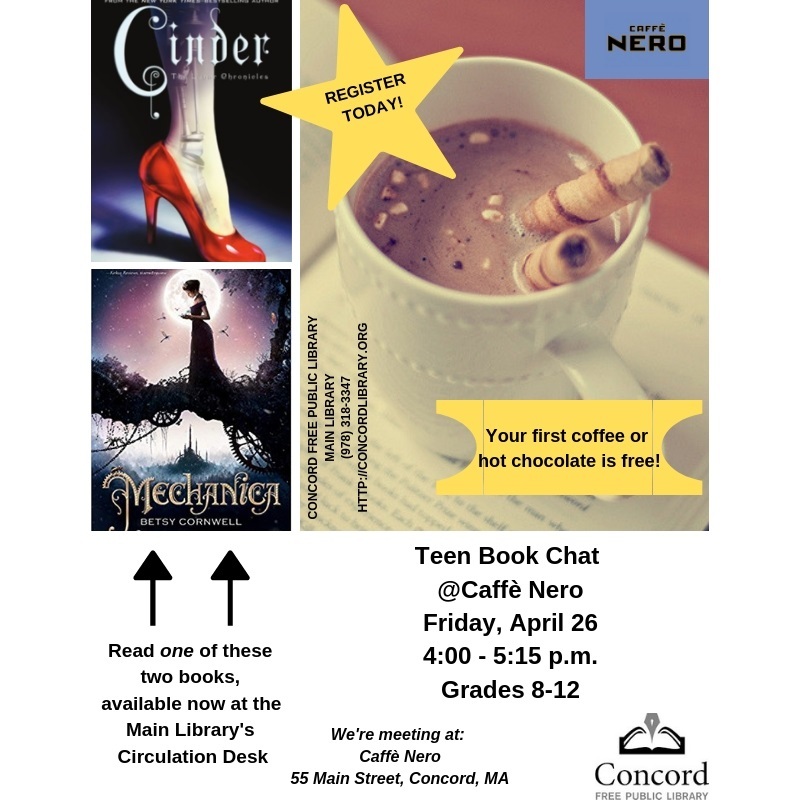 Now’s your chance to sample some of the hottest teen books and decide whether you want to read them. Bring your library card to take home your choices, and we’ll provide donuts and juice! Space is limited. Registration is required. Free. 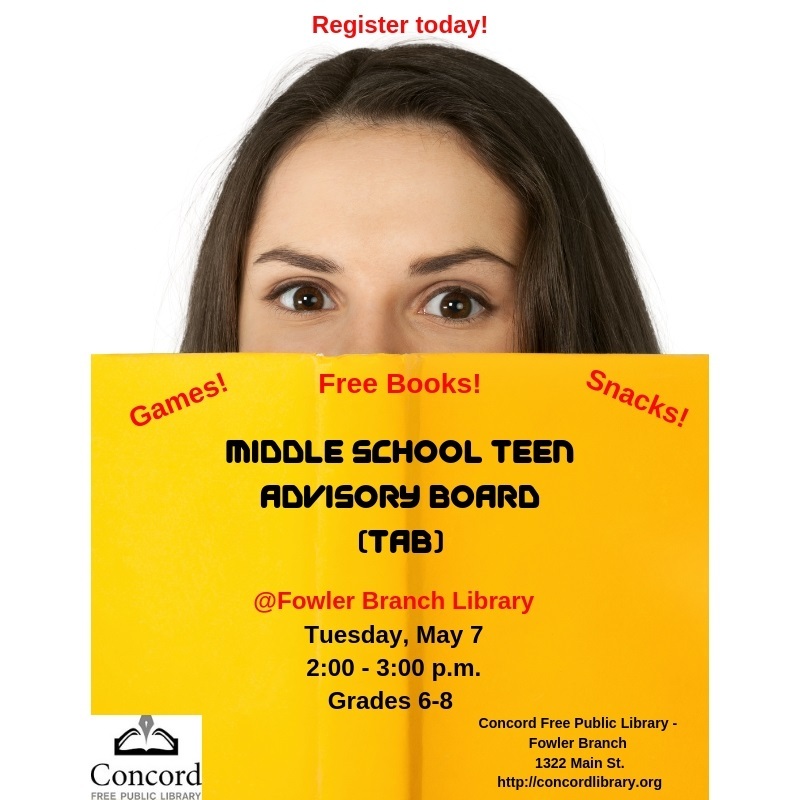 Please email odurant@minlib.net to register, or call (978) 318-3379. 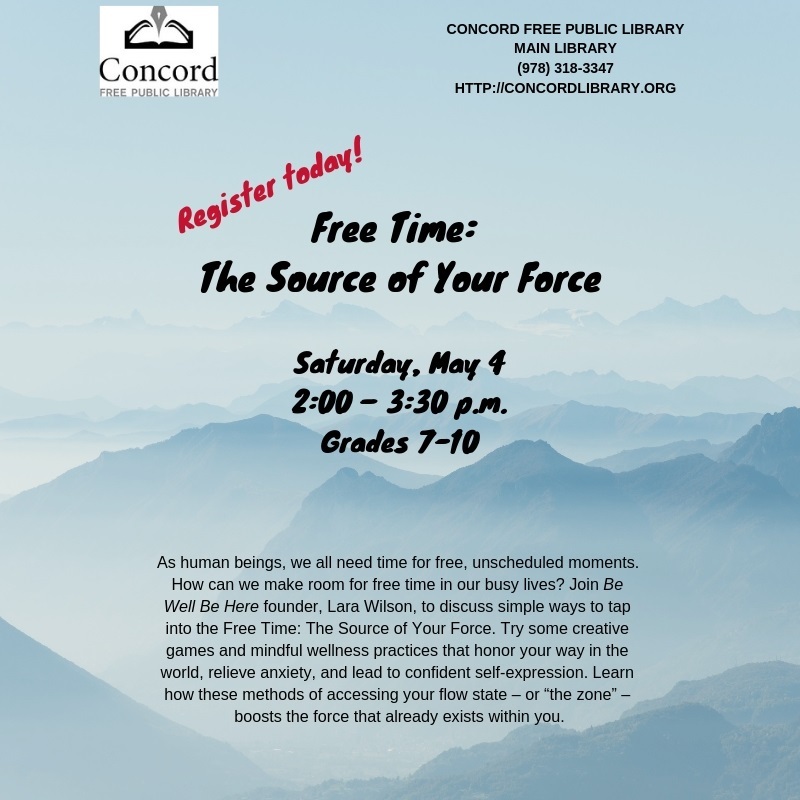 You may also register on the Library’s calendar of events at https://concordlibrary.org/news-events/events-calendar/.